Today I almost missed the boat by forgoing my post this morning for more sleep as the battle between the flu and me rages on. So in order to not miss a day, I'm going to make this quick and to the point. 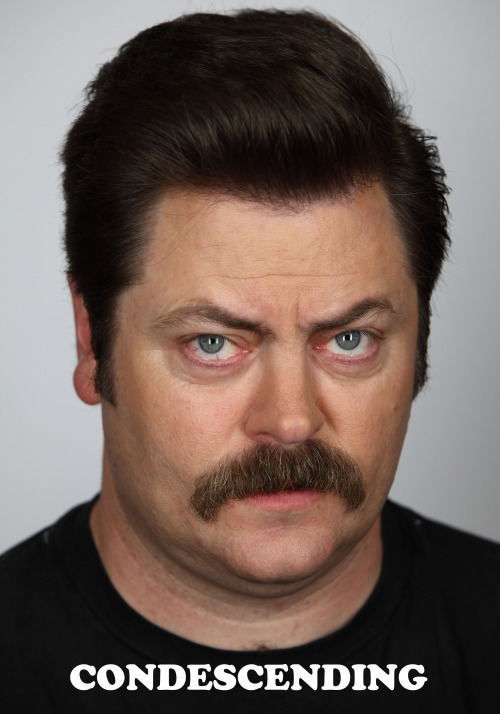 Today's featured Tumblr belongs a favorite of Sam and I (and in honor of seeing Nick Offerman and his wife Megan Mullally perform at the Largo this Friday): NBC's Parks and Recreation. Enjoy! Mar 11 Back to Work!